Multi-talented songwritter Olamide has teamed up once again with Wizkid and the result is another promising track. 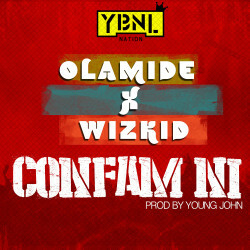 Titled “Confam Ni,” the YBNL rap sensation bosses up on the boastful verse. The fellas jump on the melodic beat produced by Young John, you’re guaranteed this is another hit.